Top 20 Christian Songs 2017. Worship music is more than just music. You can’t be the only performer of this music on the stage, worship music should be a part of your life. You should live as true Christian to give live emotions and the true meaning of worship music to listeners. Worship music is music, which goes from the depth of your heart and reaches souls of other people. At the end of this year, we invite you to listen to the best and most popular worship music songs in the 2017 year. This song by Australian praise and worship group Hillsong worship from their album “Let There Be Light”. This album after it’s release on 6th January 2017 has rapidly grown it’s popularity. This song was written by Brooke Ligertwood and Ben Fielding a co-writer. “What a beautiful name” has won two Dove Awards in 2017 for Song of the year and Worship Song of the year. It is one of the most beautiful contemporary worship music examples. This song was released on February 24th 2017 as the lead single from their fifth live album “Here as in Heaven”. The song was written by Chris Brown, Mack Brock, Steven Furtick, and Wade Joye. This song says that we surrender our own lives to God so that we can be living sacrifices. “I’ll Find You” is a song by American Christian hip hop artist Lecrae, featuring American singer Tori Kelly. It was written by Lecrae, Kelly, Natalie Sims, Sasha Sloan, John Mitchell, DJ Frank E and Danny Majic. The song was released t on August 9, 2017 as the third single from Lecrae’s studio album “All Things Work Together”. The idea of this song was to encourage people who battling cancer. “Even If” is a single from Christian rock band MercyMe from their studio album “Lifer” in 2017. It samples the chorus of the hymn “It Is Well with My Soul.” The idea of this song is about change that Jesus made in song author’s life. This song is from the first Layrien Daigle album “How Can It Be”, which was released on April 14, 2015. This song was written by Matthew West, an American contemporary Christian musician, singer-songwriter, and actor. “Broken Things” is included into new album “All In”, which was released in 2017. This song was written by Crowder and appears in the album “American Prodigal”, released in 2016. This hopeful song is about all our hopes which are in the only son of God – Jesus. This new single from the new album “Different”, which released in October 20th, 2017. Listen to learn the story behind this worship music song. This song is from the sixth studio album by American Christian rock band Needtobreathe, released on July 15, 2016. This is the latest single of multi-award winning artist and songwriter Jeremy Camp, released in June, 2017. In singer’s words, this song shares about God’s never-ending love for us. This song is from new album ‘Out of the Dark’, released in May 2017. The song considers the superficial reasons we judge others and that it’s time to stand united and to love each other. This song in from Tenth Avenue North album “Followers”, which was released in 2016. Song “Control” is like singing or speaking with Jesus. We are reminded about his amazing grace. God loves us and cares for us every day. This song is from group album “We are Messengers”, which was released in 2016. “Point to you” was written to express authors and lead singers Darren Mulligan conviction he has to God. This song was written by Matt Maher, Canadian contemporary Christian music artist, songwriter, and worship leader. It is from album “Echoes”, which was released on September 29th, 2017. “Your Love Defends Me” reminds us that God is on our side and providing us His strength to get through difficult times. Big Daddy Weave is one of the top artists in Christian music. This song is from their seventh album “Beautiful Offerings”, which was released on September 18th, 2015. “Jesus I Believe” was written for rising a hope in people, who have terrifying diagnosis. We need to trust in God and go through things with hope. This single is from a modern praise and worship band out of Northern Ireland, the Rend Collective album “Rescuer”. This song is about Jesus, our rescuer, who came to rescue each of us, to change our situation. This song is from new Tauren Wells debut solo album “Hills and Valleys”, released in June 23th, 2017. “When We Pray” was written because a broken world needs a praying church. We can change reality and world around us through prayer. This American Christian band Skillets ” song is from their album “Unleashed”, which was released on August 5th, 2016. This song in from new Matt Redman album “Glory Songs”, which was released on September 29th, 2017. Gracefully broken was released as a suprise single featuring Gospel singer Tasha Cobbs Leonard. 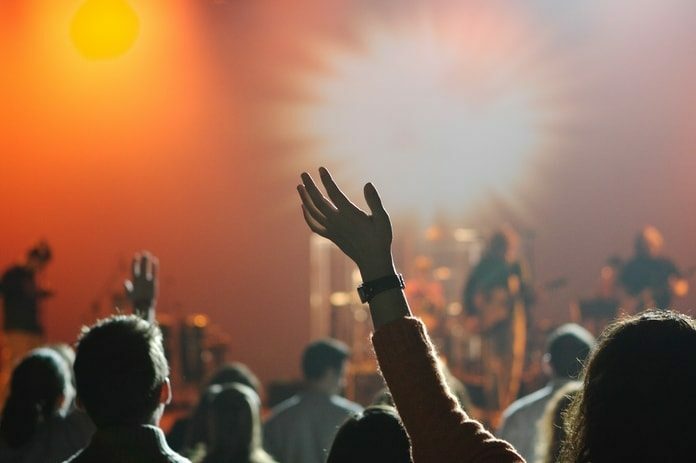 Have a blessed time listening to these Top 20 Christian music and worship songs!